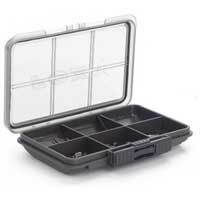 This 6 compartment shallow integral box comprises equal size sections and is designed to fit large or medium F-Boxes. 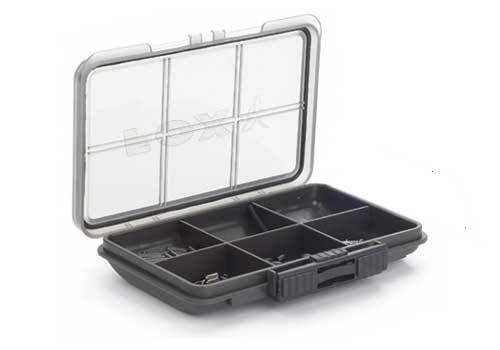 The sloping, shallow sides provide easy access to even the smallest and most fiddly of tackle items. The box features a waterproof seal, long life hinges and a secure locking slide catch.